What can a teacher do in a classroom with a poem, a video, an artwork or a piece of music created by someone else? From early childhood education to higher education, literary and artistic works can be used by teachers, academics and researchers, education support personnel and students for educational uses insofar as the copyright laws that protect those works permit such uses. The matter of how copyright laws treat education is, therefore, one that has implications in all sectors of education and for all education employees. How copyright laws treat education? COMMUNIA’s study, Copyright and Education in Europe: 15 everyday cases in 15 countries, shows that some laws are generous and allow teachers, academics and students to freely play Youtube videos in class, translate poems and other literary works for classroom use, insert an image of an artwork in a presentation or perform a drama play in a school event. Others allow those uses and require the user (the education institution, the teacher, academic or the student) to pay a compensation to the authors, which can be affordable to some and a huge obstacle to others, depending on their financial resources. There are countries that simply do not permit some of those educational activities, meaning that the user needs to ask for permission to each and every author of each and every work he or she intends to use in an educational context. This is obviously not practical and in some cases not even possible, because the authors cannot be located. How different laws impact the act of teaching? These different treatments of education by copyright laws all over the world result in huge inequalities in terms of whether and how materials can be accessed and used for quality teaching and learning. Indeed, some teachers have the freedom to choose whatever materials they consider are most adequate to illustrate their teaching, while others have to either refrain from using such materials or risk infringing copyright laws. Not to mention that this fragmentation also creates an obstacle to distance learning programmes and other cross-border educational uses involving educators and learners in different countries (with different laws). What are the plans to reform these laws? Currently, there are copyright reform debates taking place in several countries and regions of the world. In the European Union, for instance, the reform plans include discussions on how to better balance the rights of authors with the needs of modern and traditional education, through a legal mechanism called exceptions and limitations to copyright. As the name suggests, these legal provisions create exceptions or limits to the exclusive rights of authors in controlling the use of their works by others, namely for (non-commercial) educational purposes. 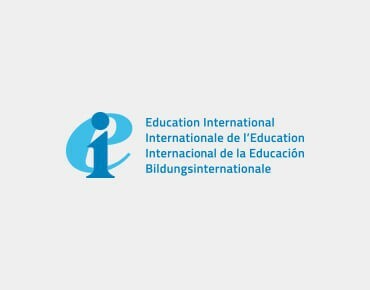 In addition, an increasing number of education stakeholders advocates for international legal frameworks that guarantee a minimum set of rights to all education institutions across the world in order to facilitate cross-border collaboration and exchange. These discussions are taking place at the World Intellectual Property Organization. If discussions are already in place, why should teachers get involved? Teachers should get involved because the discussions will not necessarily lead to legislation that is conducive to quality education. The proposal that the European Commission is preparing, for instance, allows schools to use copyrighted materials in digital activities, but if at some point a license covering such uses becomes available in the market, the schools have to buy that license, if they want to continue using the material. This is a problem, because schools are ill-equipped to negotiate licences and, according to a study commissioned by the European Commission in 2016, 31,3% of educators pointed out that one of the biggest copyright-related restrictions experienced by them, when carrying on their daily activities, was that “I or my school could not afford the price of the license”. How can teachers support this discussion? Start by getting some knowledge and information about copyright and education. The European Trade Union Committee for Education (ETUCE) is hosting a High-Level Conference “A better copyright for quality higher education and research in Europe and beyond”, in partnership with the European Federation of Education Employers (EFEE) and the COMMUNIA network of IP lawyers and activists in education. The conference takes place on April 11, in Brussels, and can also be followed online. Obtain information of your country’s copyright and the flaws and opportunities it entails for education employees and their work. Endorse the joint letter initiated by Communia, and signed by 53 organizations, which urgently requests to improve the education exception in the EU proposal for a Directive on Copyright in the Digital Single Market (DSM Directive), by sending an email to education@communia-associations.org. Sign up for Communia’s newsletter Copyright Untangled, to receive updates on the developments around copyright and education. Teresa Nobre is an attorney-at-law based in Lisbon, Portugal, and a legal expert on copyright at Communia International Association on the Digital Public Domain. She is also Creative Commons Portugal legal lead. She coordinated the research projects Educational Resources Development: Mapping Copyright Exceptions and Limitations in Europe (Creative Commons, 2014), Best Case Scenarios for Copyright (Communia, 2016) and Copyright and Education in Europe: 15 everyday cases in 15 countries (Communia, 2017). Teresa is actively involved in the copyright reform debate in Europe, and she was the legal lead of Communia’s campaign RIGHTCOPYRIGHT (rightcopyright.eu) to fix copyright law for education. Teresa holds a university degree in Law from the University of Lisbon Faculty of Law (2003) and a LL.M. in Intellectual Property from the Munich Intellectual Property Law Center (2009).